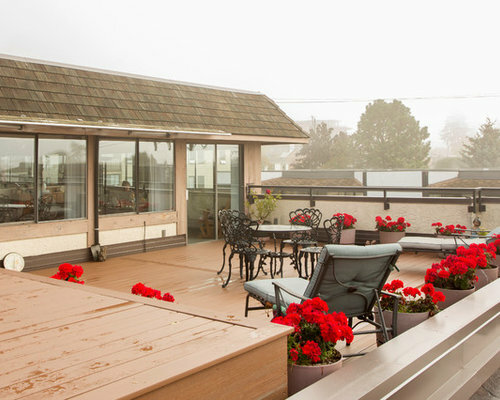 This gorgeous roof top deck, overlooking Semiahmoo Bay in White Rock, BC is constructed from Azek composite decking. 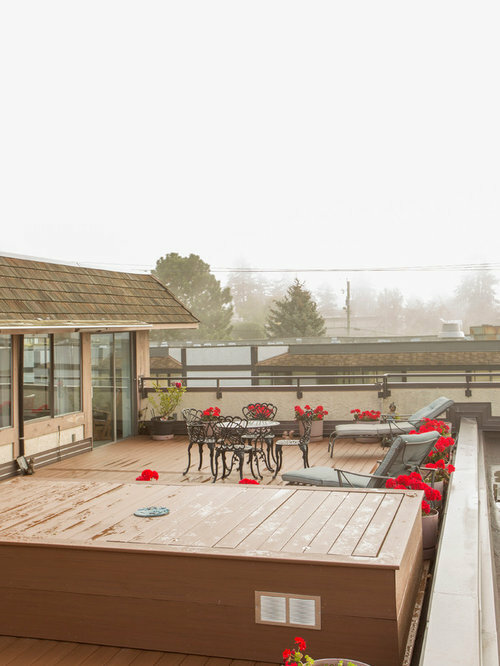 The deck extends over half the roof of the building, divided from the other half by a firewall. 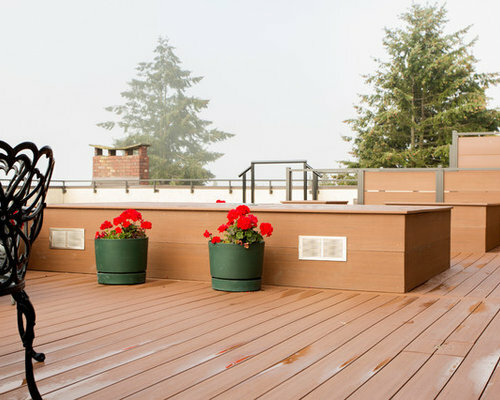 privacy screens separate the main deck from a smaller section belonging to another unit, between which is a fire escape corridor leading to an exit. 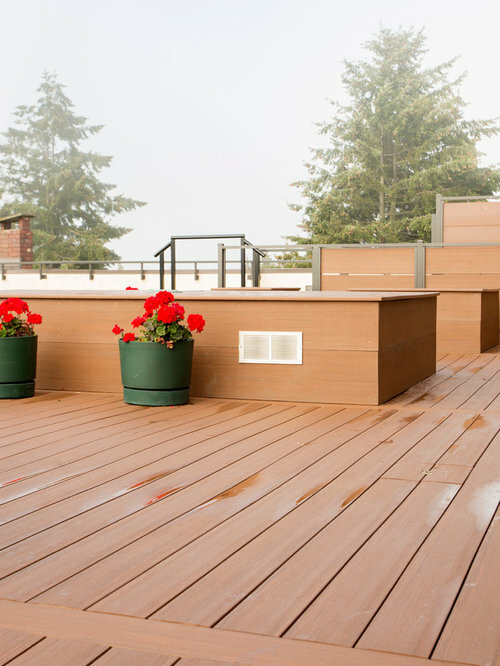 Stairs were constructed over the firewall to accommodate this path. 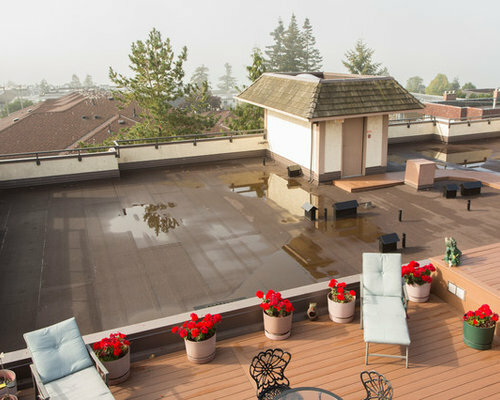 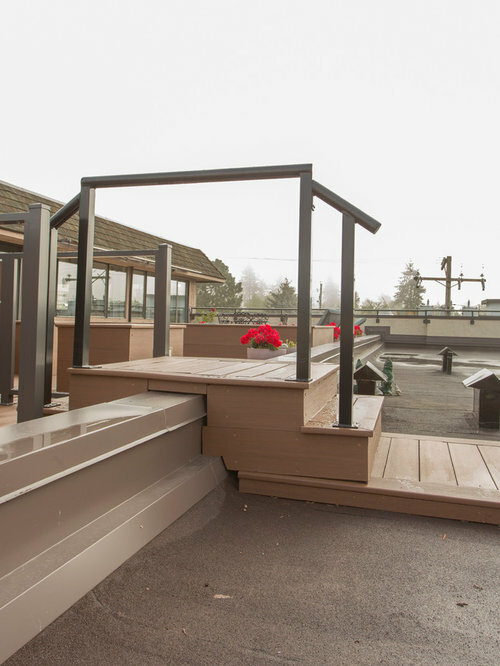 The block platforms house the roof venting and intake systems, an elegant way to ensure safety and easy access when needed. 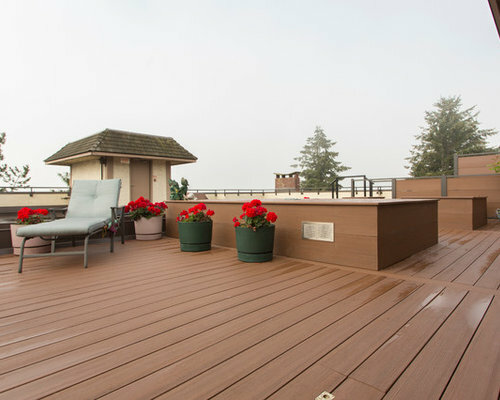 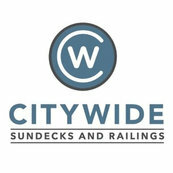 This composite deck provides a highly usable, low maintenance space for the client to enjoy the view.